Located in Pasadena, CA Family Law Attorney Vincent Landeros provides individuals and families with reasonably priced, quality representation. Since 1989, Mr. Landeros has successfully represented hundreds of clients in family law matters. He credits the secret of his success to his ability to combine his experience, knowledge and background with intelligent, compassionate representation and personal service. When you hire Mr. Landeros to represent you, you get Mr. Landeros himself working on your case from start to finish. Part of the reason for his track record of success in family law and divorce disputes can be attributed to the fact that he works each case from the beginning and becomes familiar with every detail. Other firms will have junior associates work up your case before it's tried by a senior partner who may not be as familiar with the intimate details. Because Mr. Landeros is familiar with every aspect of your case, he is in the best possible position to protect your interests. 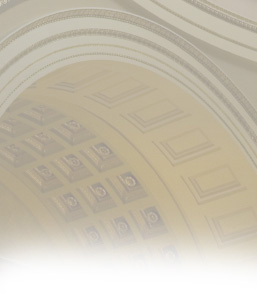 As a family law attorney, Mr. Landeros has extensive experience in both areas. His law practice is devoted exclusively to handling family law matters. Those are the only types of matters he handles, and he does them well. In addition to being a skillful litigator and negotiator, Mr. Landeros is also compassionate. He started his practice to help people and believes everyone is entitled to quality representation. In practicing law, Mr. Landeros always puts his client's interests first. Over the course of more than 20 years, Mr. Landeros has earned a reputation for devising innovative solutions to his clients' problems. He has taken on many cases other lawyers called "impossible" and achieved positive results for his clients. He takes time to learn about you, your situation, and your goals. He analyzes your legal position, offers you his experienced advice, and provides you with your realistic options. He often finds options no other attorney sees. When you retain attorney Vincent Landeros to represent you, you know you will receive accurate information and experienced advice to help you make informed decisions. Your future is too important to trust to a less experienced lawyer. If you have a family law dispute, you can schedule a free initial phone consultation to determine if we are the right law firm for you. Call (626) 304-7062, or, if you prefer, fill out our intake form and we will contact you to schedule a confidential consultation with a skilled family law lawyer..
Mr. Landeros has earned a reputation throughout the Pasadena, San Bernardino, San Gabriel Valley and East Los Angeles County area for providing quality representation that is tailored to the needs and economical well-being of his clients. His no-nonsense style is appreciated by both his clients and the courts. His goal is to resolve your problem as efficiently and effectively as your circumstances will allow. Remember...we can't help you if you don't call. You owe it to yourself to call us today. Call (626) 304-7062 for a free phone consultation with an experienced Pasadena divorce attorney to discuss how we can help you. 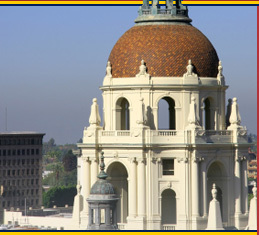 Located in Pasadena, California, Attorney Vincent P. Landeros represents men and women in divorce and other family law matters throughout the communities in and around Los Angeles County, East LA County, the San Gabriel Valley and San Bernardino County, California.